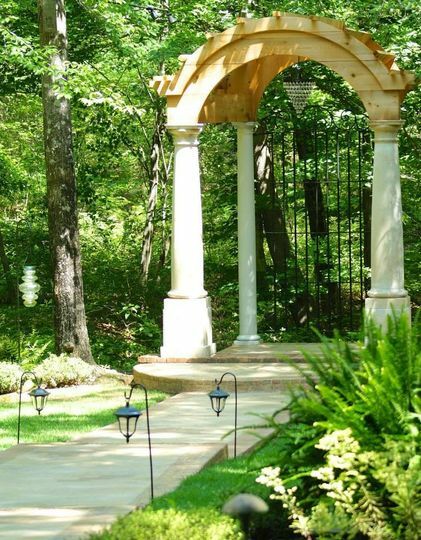 Garrison Gardens is a wedding venue in Texarkana, Arkansas. 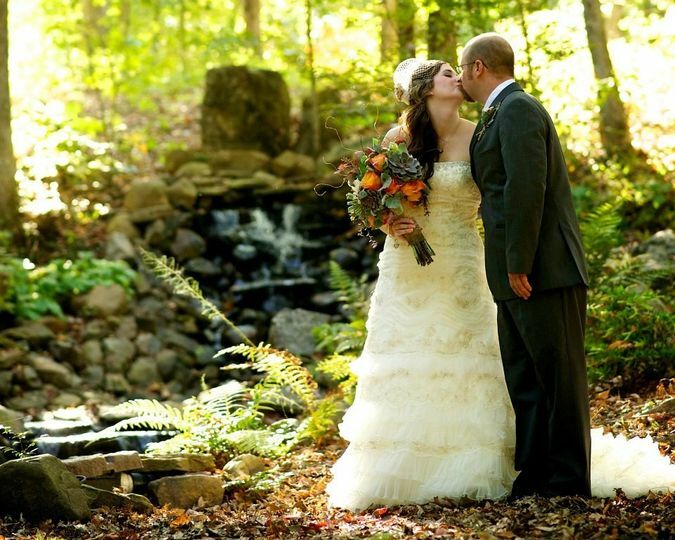 This outdoorsy venue is owned and operated by husband and wife duo, Chuck and Karen Guilbert. 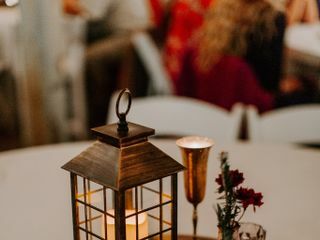 They have been hosting weddings since 2010, and are passionate about giving each couple the most wonderful experience possible. 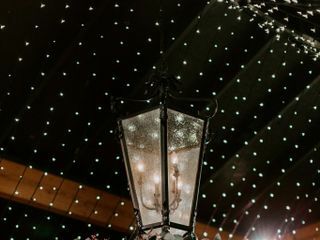 If you envision a vintage, garden-style outdoor wedding with beautiful waterfalls and special lighting, look no further than the Garrison Gardens venue. 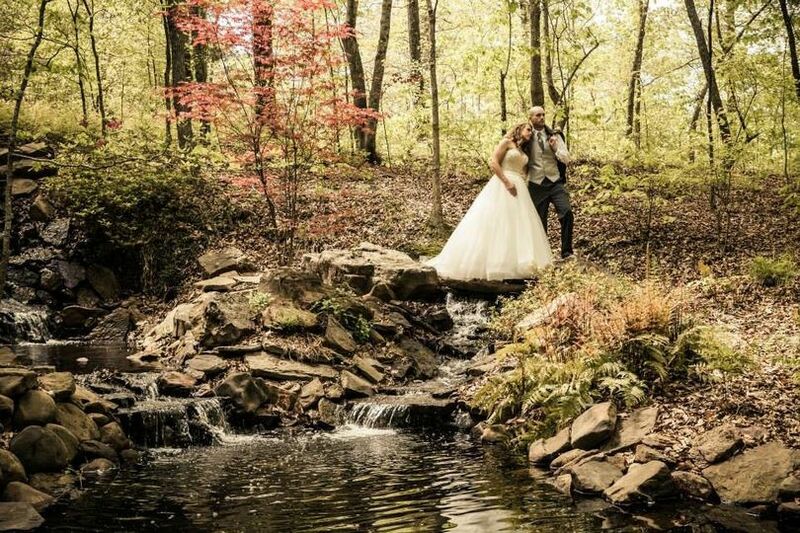 Garrison Gardens offers a beautiful, peaceful wedding environment located on 20 acres of secluded, natural woodland setting. 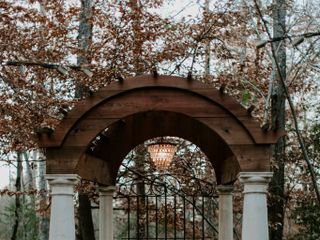 You and your guests will cross a beautiful wooden bridge, which leads to winding paths that bring you to the most beautiful ceremony site you could imagine. 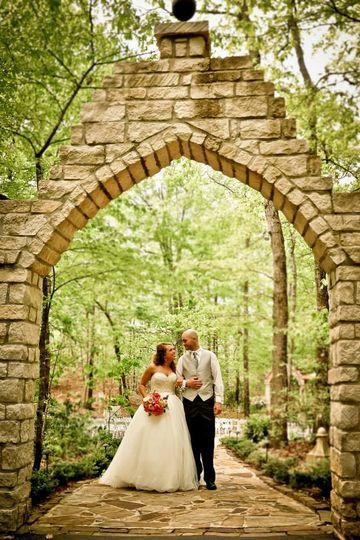 You will be married in front of a large iron gate with stone pillars and wooden arch. 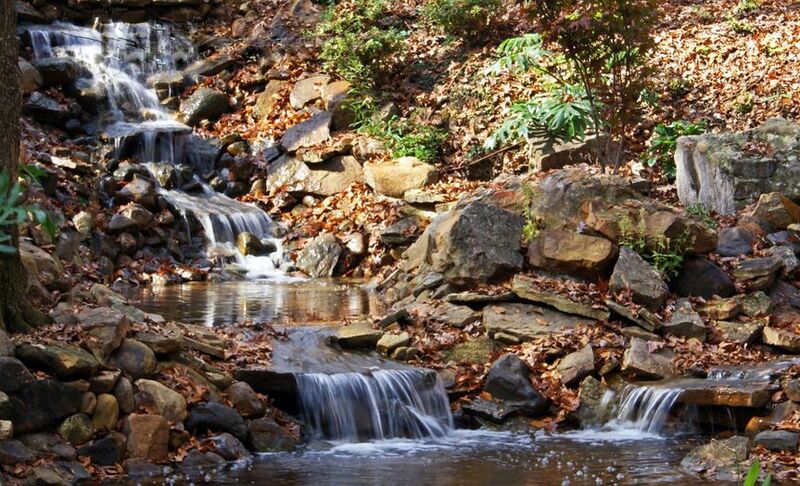 Flowing creeks and waterfalls add to the peaceful nature of the ceremony site. Garrison Gardens also has an indoor, glass-enclosed, 2,400-square-foot pavilion with gorgeous views of the surrounding land. 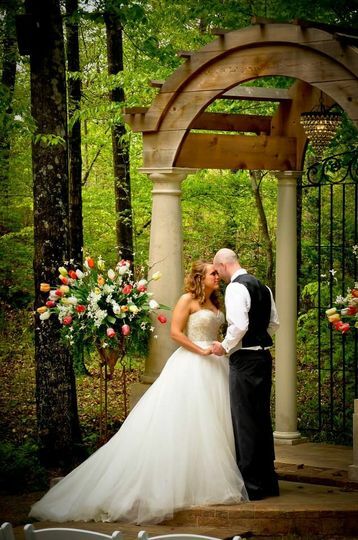 Overall, the venue can accommodate weddings of up to 225 guests. 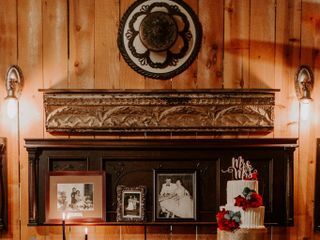 My husband and I fell in LOVE with this venue when we were searching for a place. Everything was absolutely perfect and we will remember our day for the rest of our lives. The staff was wonderful and helped so much with any questions that I had. They were there every step of the way, even when I did not know what to work on next when planning our wedding. I recommend this venue to anyone and everyone that is looking for a venue. It is the perfect setting! Check it out, you WONT regret it! "country" looking and I loved what I found at Garrison Gardens. 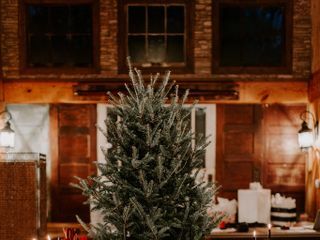 The venue alone is beautiful but also has the potential to take on a wide variety of styles depending on how you want to decorate. 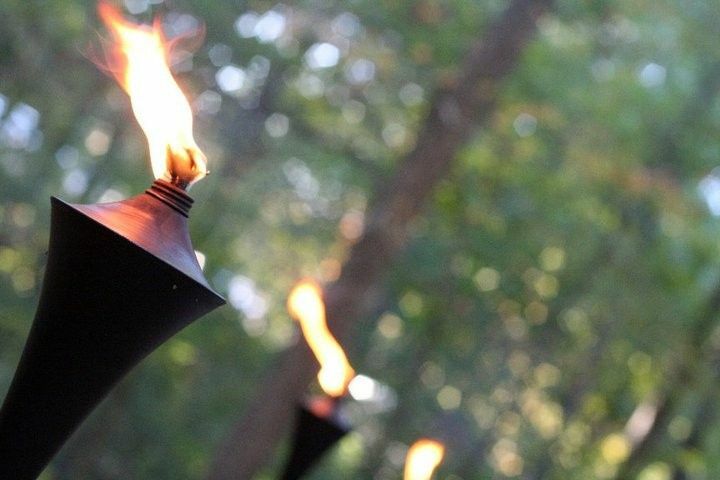 The grounds are well kept and densely wooded that give it a secluded feeling. The owners, Chuck and Karen, are so helpful. Karen has a great eye for decor and making everything come together beautifully. Chuck MCs the wedding and I had guests tell me how well everything flowed throughout the whole evening. 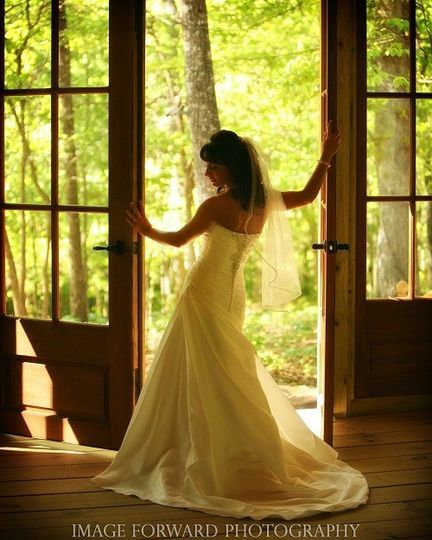 I could not have been happier with the way my wedding day went. 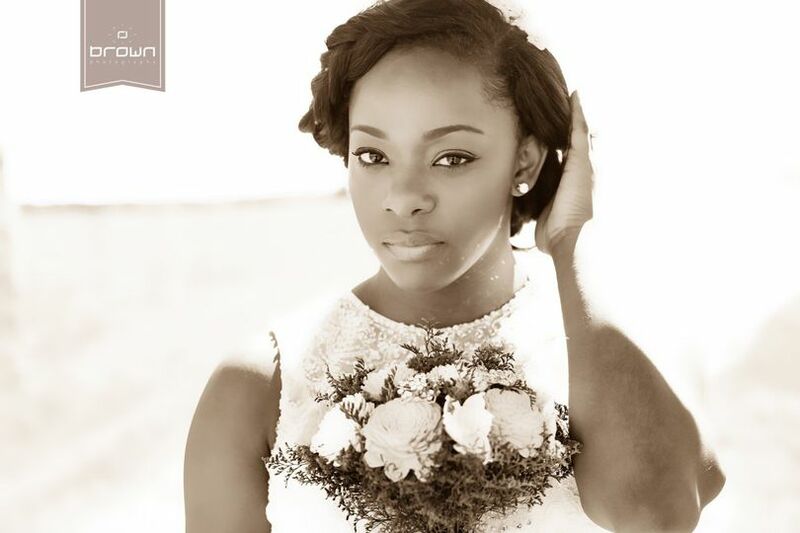 It was so easy and calm and the wedding went off without a hitch! 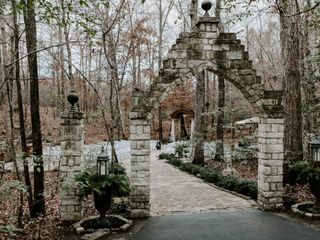 Garrison Gardens was the perfect, most beautiful venue for the forest wedding we had always dreamed of! We got married at the end of April and everything, big and small, was perfect. 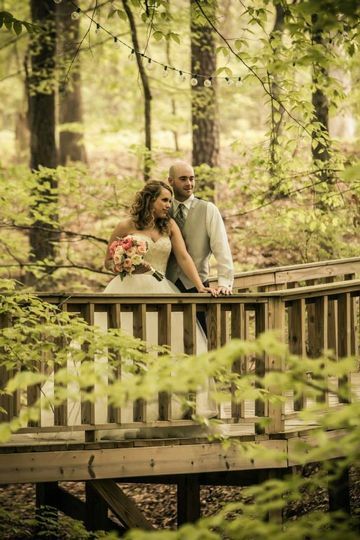 Karen and Chuck worked with us to have every detail nailed down so that all went smoothly on our big day. All of our guests had a fantastic time and we are so so glad that we chose Garrison Gardens. It really couldn't have been more perfect. Thank you, Karen and Chuck!! 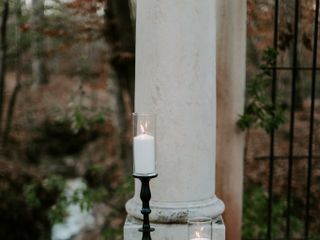 The pictures from this venue are just gorgeous! I have to recommend this location to my next bride and groom!